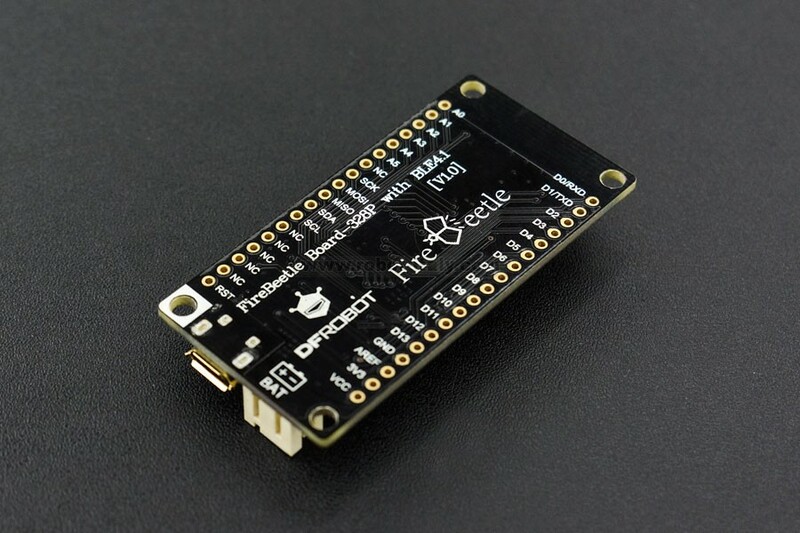 DFRobot FireBeetle series are low power consumption microcontrollers designed for Internet of Things (IoT) development. 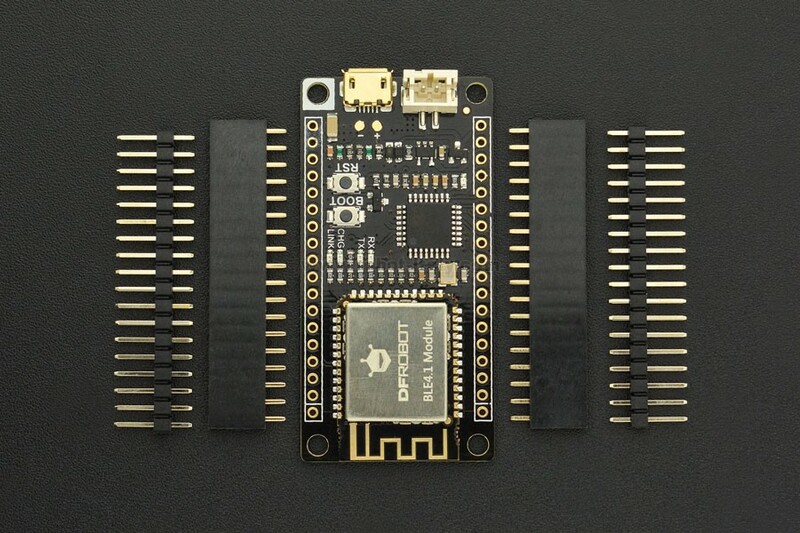 This Bluetooth controller combines Bluetooth Low Energy 4.1 with Arduino controller, offering functions similar to the former Bluno series but with lower power consumption. FireBeetle BLE 4.1 is compatible with Bluno series (BLE 4.0) and performs much better. 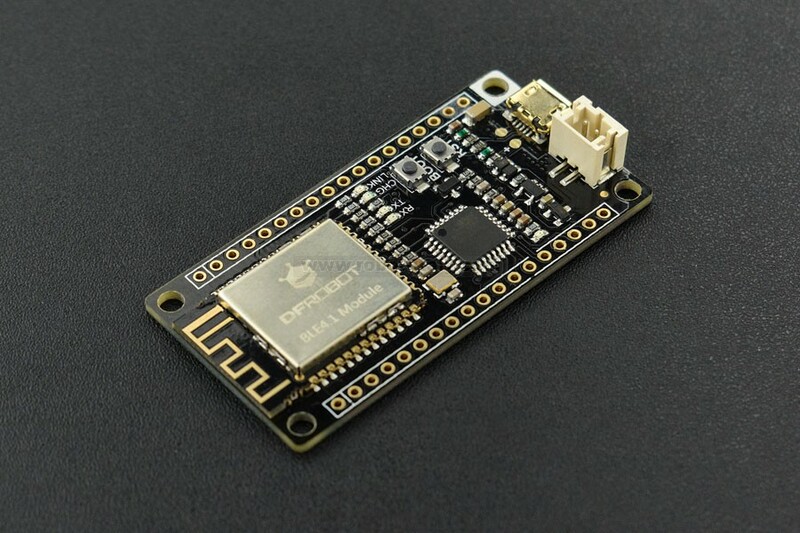 It equipped with more stable DIALOG Bluetooth 4.1 chip, supporting maximum 4Kbyte/s transmission rate and low power consumption (25uA POWER DOWN). 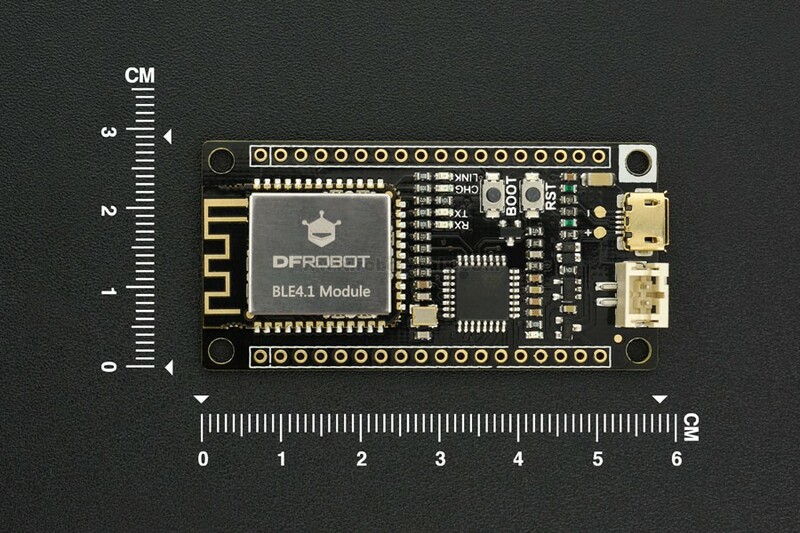 It can be directly applied to low power consumption application such as wearable and intelligent tools and so on. 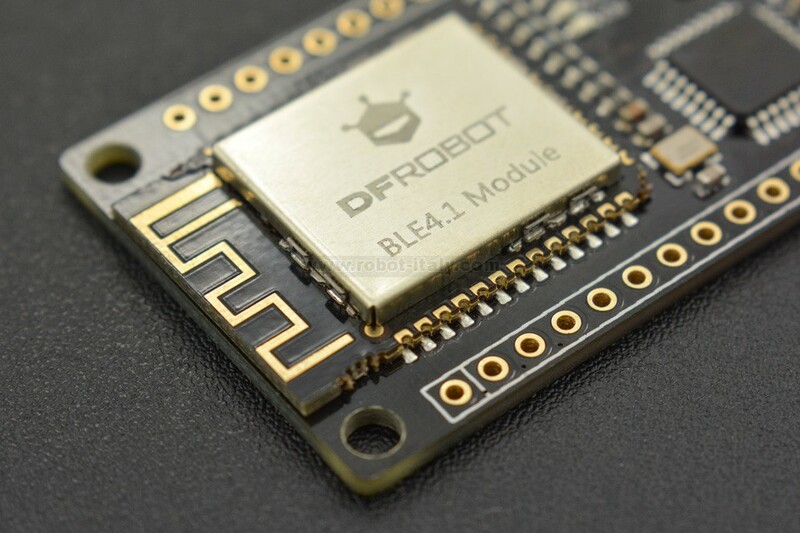 It also supports multiple Bluetooth cascade, KISS connection (approach connection) and compatible with Bluno series. Its connection can be realized by holding host BOOT and moving to the target peripheral device.